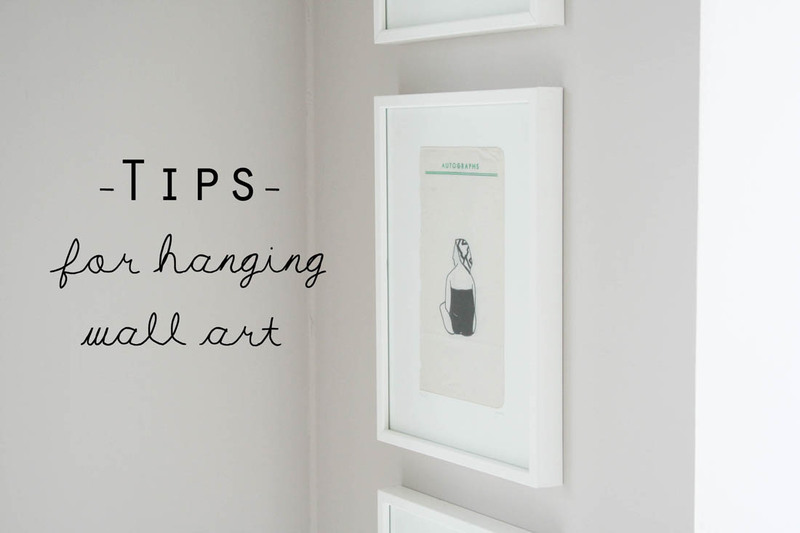 Hanging wall art is a problem that hampers a lot of us, I think, and I often go to friends’ houses and notice that nothing at all is on the walls for fear of making holes everywhere or choosing the wrong place for a piece of art. Therefore, I just want to chat you through a couple of things that can make the job a lot easier. 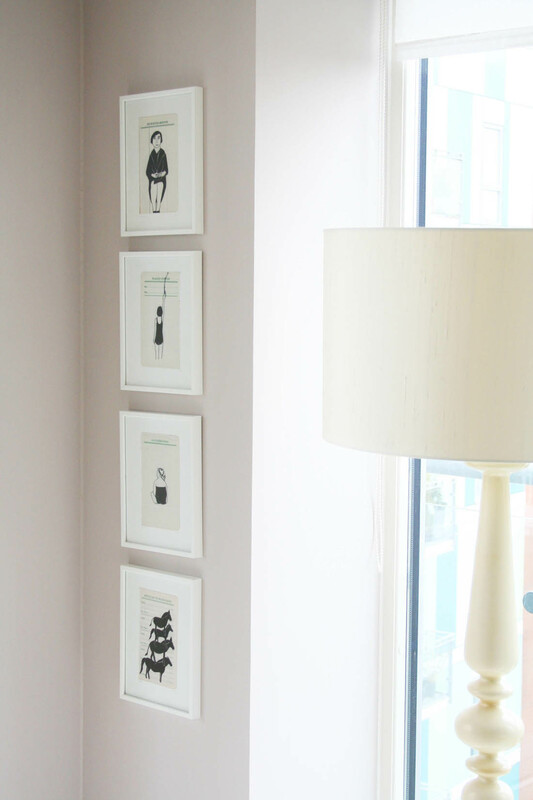 Firstly, I always tend to buy picture frames from Habitat (they also do mounts) or John Lewis because they have a good range of materials and sizes and I far prefer quite thin frames to bulky thick frames. Alternatively, for special pieces I will invest in taking wall art to the local framers – worth every penny in my mind. 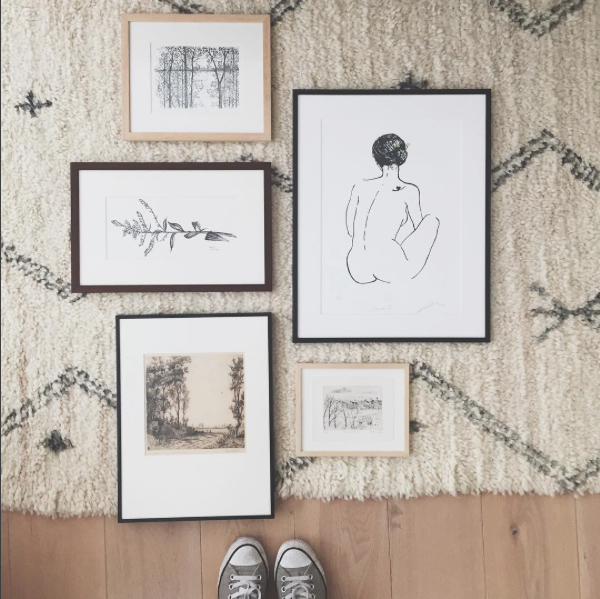 One of these days I will commit to sourcing some vintage frames and taking them to the framers to use for special prints (they often lack glass, mounts or clips if you buy them at antiques markets or car boots so the framer can rebuild them). 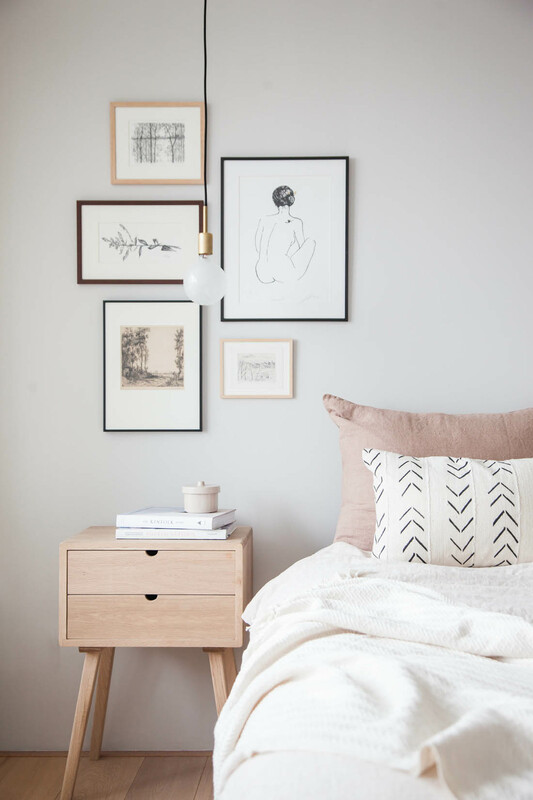 I saw a completely gorgeous gallery wall arranged by Holly over at Avenue Lifestyle in a recent bedroom makeover she did (I warn you, if you pop over and look at the full room you will feel the need to completely redesign your own – it’s to die for!). Quite often I hear people saying that they would have no idea about how to go about this but, as Holly shows in the picture below, all you have to do is lay them out on the floor first and play around with the composition. I want everything in this bedroom but I want the art work most of all! Image via Avenue Lifestyle. I know lots of people fear making holes in their walls, especially if you rent your property. That’s why you need to become best friends with Command Strips. They behave a bit like velcro so you press two pieces together, stick one side to the back of your frame and the other side to the wall. I swear on my life these things work and when you want to move the picture all you have to do is pull the strip off and it takes no paint with it. They are brilliant (hooks are also available that I use all the time). The point is that you will not need to make any holes in your walls and your picture will never be wonky as it is firmly stuck in place. 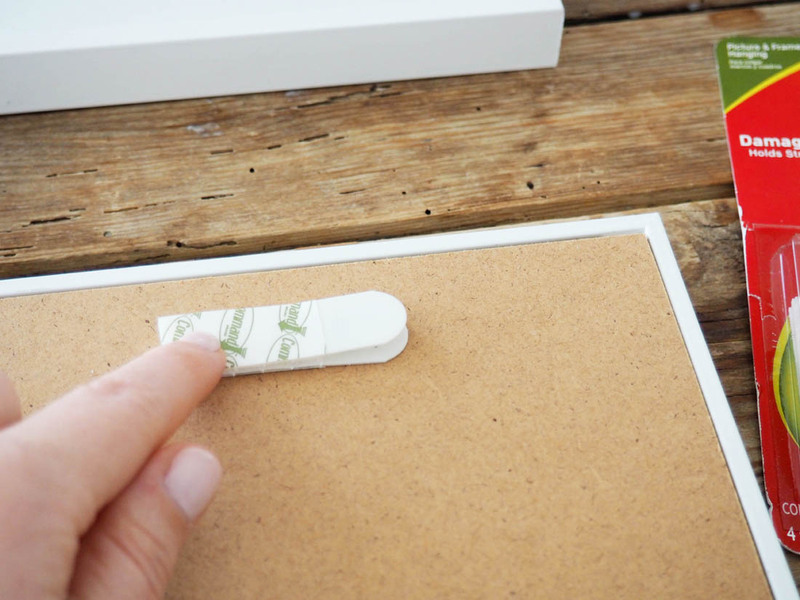 When you have attached your command strips and you are ready to hang your pictures to help you figure out where to put them and how to space them use paper templates. Draw around your pictures to make your templates and use blu-tack to attach them to the wall to help you visualise what they will look like in a certain position. Again, experiment! 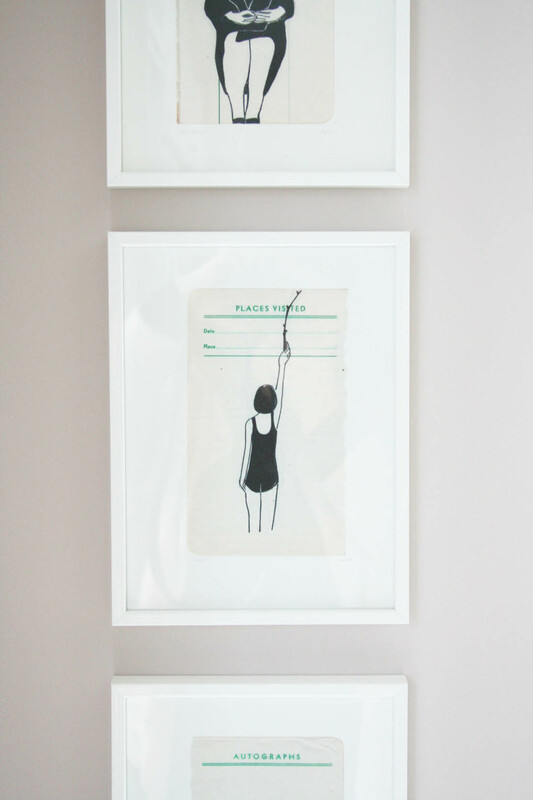 Paper templates will help you hang pictures evenly and in the best position. Illustrations by Rikkianne Van Kirk. See more of her work in her Etsy shop. 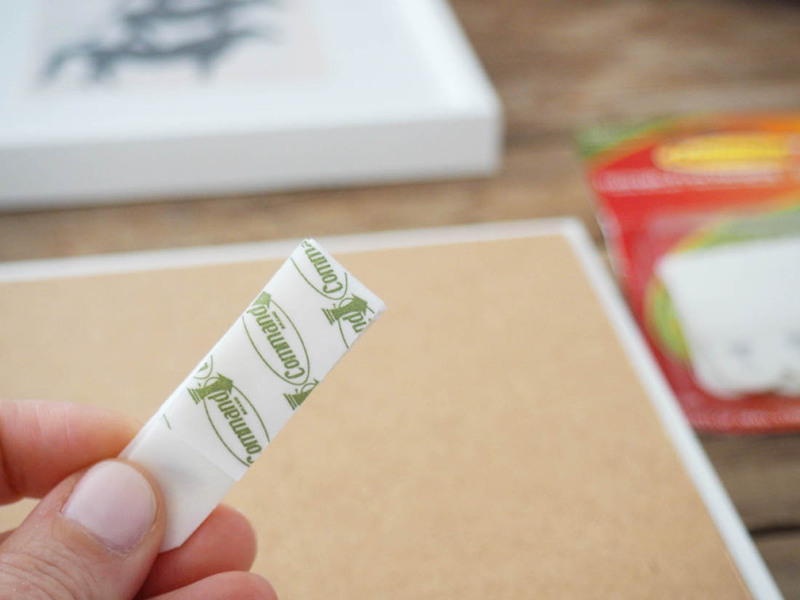 Hope this may help anyone who struggles with hanging their wall art (I know I do). I *think* I have decided where to hang it all in my living room. Great post and beautiful wall art inspiration! I love Command Strips, they’re fab. I haven’t shopped at Habitat for picture frames before, so shall take a look as I also prefer slim frames to chunky ones. 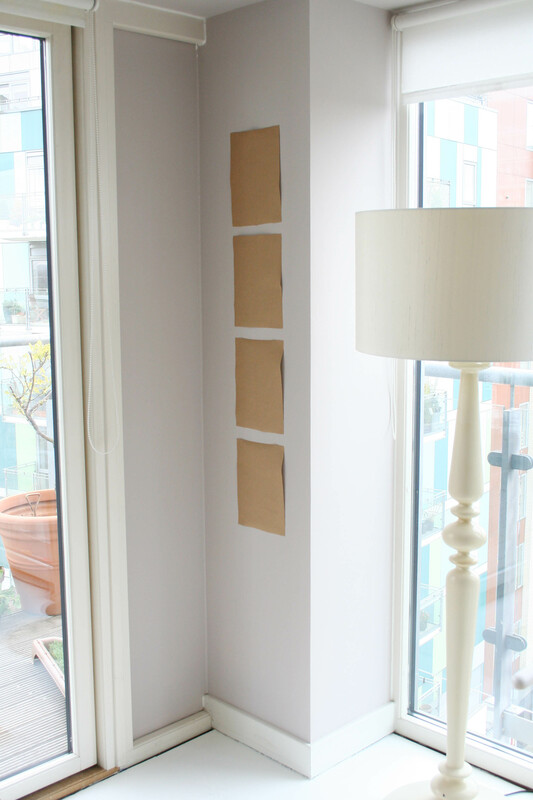 I use the floor and paper templates to help decide how to hang pictures. In addition, I also mark on the paper template where the nail needs to be (depending on how long the wire/string is). I then pop the nails in over the template on the mark, peel off the template and pop the picture up. Also, as an ex-forces wife, we were also required to fill in any holes prior to leaving our quarter. An old army trick (if you have neutral walls) is to fill any small holes with a tiny blob of (white) toothpaste and smooth over with a tiny bit of water. I think that a number of quarters may actually be held together with toothpaste! This a job I just keep putting off, we’ve loads of things to hang! A misxture of vintage and modern frames, I think I might try the command strips thing, will have to figure out how many I’d need to hang the bigger pictures though! That bedroom!! I swooned!! Command strips are the most amazing invention. I have them all over my house. Thanks for a really helpful post – I’ll be putting the ‘paper template’ trick to good use very soon. Hello! Just want to know where you got your thin black picture frames? 🙂 thanks. 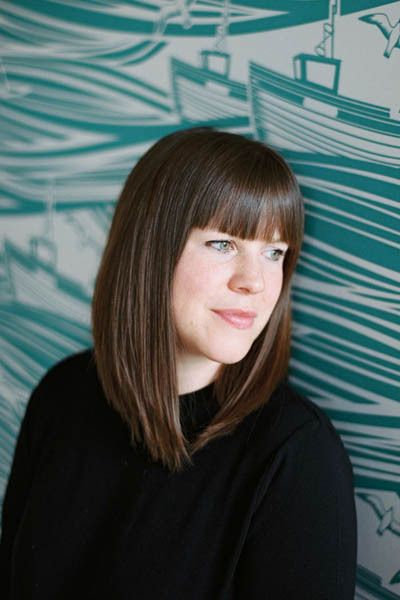 Hi katy, this blog is so helpful – beautiful. What colour is on the walls? I’m looking for a neutral colour for art work. I’ve been looking for the perfect two tones for my room. I absolutely adore this colour because my room is a narrow double room, I feel as if it’ll make the most out of the light. What is the colour and which brand ?